During our Make a Wish trip, we had the absolute pleasure of staying at a Village designed especially for wish kids called Give Kids the World. This place is magical in every way. The vision that founder Henri Landwirth had to improve the lives of those in need is found in every inch of the village. This is the sign you see as you approach the gates of the village. Once you arrive you are greeted by one of the employees and your child is given a very special Mouse. This is a photo of where you register and you go for your orientation. When we arrived it was pretty late at night and we were so hungry. They said that we would be taken to our villa and we would have food delivered to us. The theme at the village is Welcome Home. Every time you leave and come back that's the way you are greeted. They want you to feel as if you are at home. They provide EVERYTHING you will need in the villas. There is a full kitchen with plates, cups, forks, knives, spoons, a dishwasher and soap. There is a washer and dryer and they give you detergent. There are 2 bedrooms with sheets, blankets, and pillows. There are 2 bathrooms with towels, soap, shampoo, conditioner, and body wash. Hailey's room had bed rails, a wheelchair accessible shower, and a whirlpool bath! This villa was nicer then our own home! The magic of the village appears once you know the story behind everything. 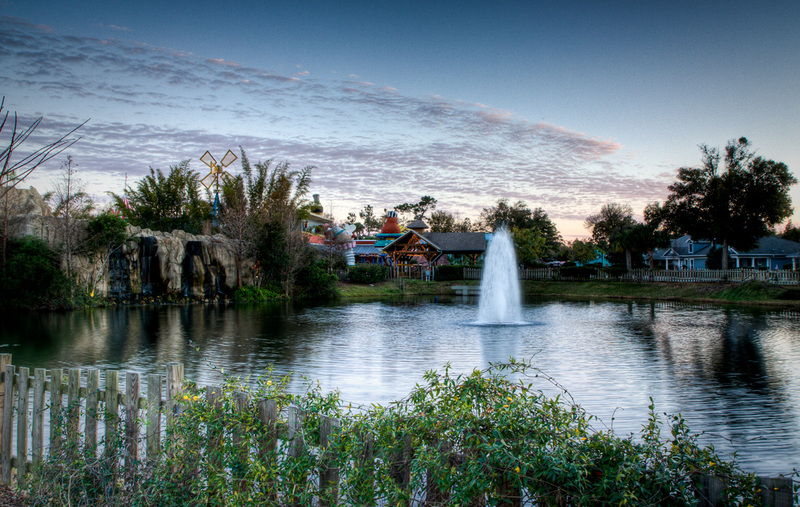 You can visit Julie's Safari where they show movies, and have meet and greets with characters from the surrounding theme parks and even Santa! The ice cream palace where you can ice cream for BREAKFAST if you want! If your child would like an ice cream sundae, ice cream cone or even a milk shake stop on in and get which ever your heart desires. Open from sun up to sun down and free for the family! A big percentage of children that visit the village are like Hailey and in wheelchairs, but there is no boundaries for these children. 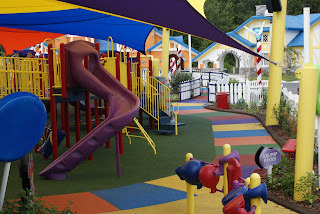 They have a Merry Go Round that accommodates these special children who don't usually get this opportunity elsewhere. You can just slide your wheelchair right into a special spot on the merry go round. This is Katie's Kitchen. The story behind this special place is told below. I copied this from the gallery. In 2005, 7 year old Katie, visited Give Kids the World. In a letter to the Village her parents wrote, "We were so grateful to have a brief time to forget the nightmare we were living. The Village became a sanctuary from the needles, pills and radiation masks. For one week we were a normal family, living life to its fullest. For one week we felt free to laugh and embrace and build those last few precious memories. You can't put a price on that." Today Katie's Kitchen is managed and funded entirely by Boston Market and serves over 80,000 delicious, nutritious meals annually to the wish families. Breakfast, lunch, and dinner is provided at the village for families and even guests of families. Guests have to pay $5. We had Josh's whole family with us and they were able to eat with us for that small cost. I had never had Boston Market before, but now I wish I had one near by. Every time I said how much I loved the meatloaf I'd get a funny look, but I really LOVED the meatloaf! LOL!! Inside Katie's Kitchen you see such a fun and whimsical place. 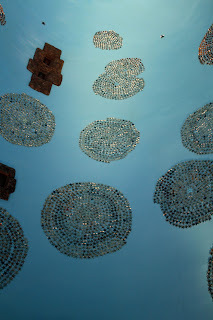 Each table has little peppermint candies that were placed there by hand. Around the perimeter of the ceiling stuffed toys were donated and placed there to stay. There are activities every day at the village and one that we participated in was Horseback Riding at Keaton's Korral. When Hailey wasn't sick she had the opportunity to ride a small pony and she really loved it. There are a ton of benefits for horseback riding for children with neurological diseases and disorders, which I will blog about another day. I knew that I wanted to give Hailey the opportunity to do this. Before we left for one of the theme parks we went horseback riding. 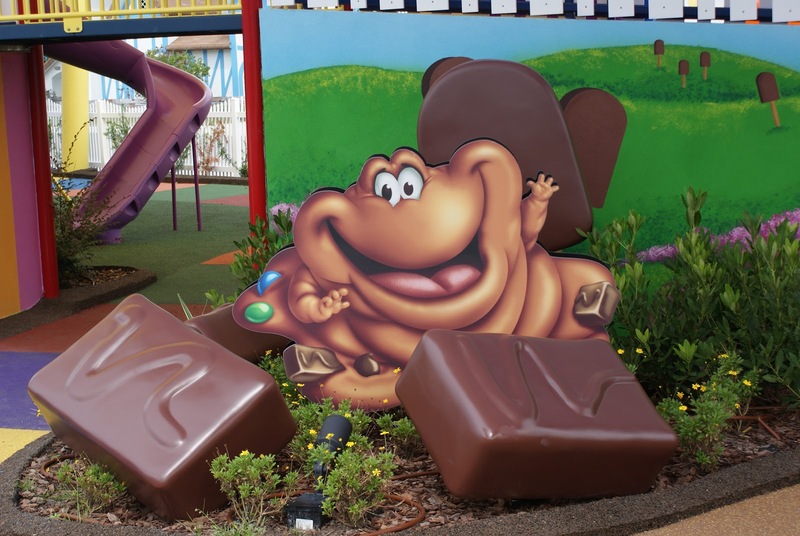 This is also entirely free to the children. They had helmets and also a tandem rider that would help hold Hailey up. The only time Hailey was unsure was when she couldn't see me, but once I started waving for her she perked up. There is a place named after the next girl I will tell you about. It's called Amberville Station, which is a fun center with video and arcade games. Below is Amber's story. Amber Holman was a girl who visited the Village in the summer of 1990 when her older brother, Travis, was a wish kid. Less then a year later, Amber was diagnosed with the same incurable disease that had afflicted Travis. The Holman's returned to the Village in 1992, this time to fulfill Amber's wish. The family's courage moved Henri, and a relationship formed between them. In 1996, the Village unveiled plans to build a fun center and Henri named it the Amberville Train Station as a tribute to the family's faith. In sunny, hot, sticky, Florida pools are essential! They have zero degree entry pools and PVC wheelchairs so that all kids can go swimming! They also host a pool party here once a week! When the Hasbro employee who brought his family to the Village in 2006 on his son's wish returned and told all of his fellow Hasbro associates about their experiences, it helped to further solidify the relationship with GKTW. 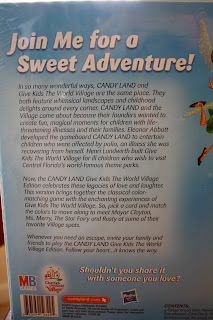 The wish child, Matthew McGowan, was actually the one to receive the first Give Kids the World Edition of the Candy Land game as it came off the assembly line. As the relationship with Hasbro strengthened, they "adopted" Winter Wonderland and also provide over 22,000 other gifts annually to include in the Village celebrations each week. After Matthew's wish trip, it was decided that the new boundless playground would be named in his honor. The dragonfly that sits atop the entrance signs to the playground represents a story that Matthew's sister read at the Grand Opening. At the boundless playground the wish kids are invited once a week to play the worlds largest game of Candy Land! 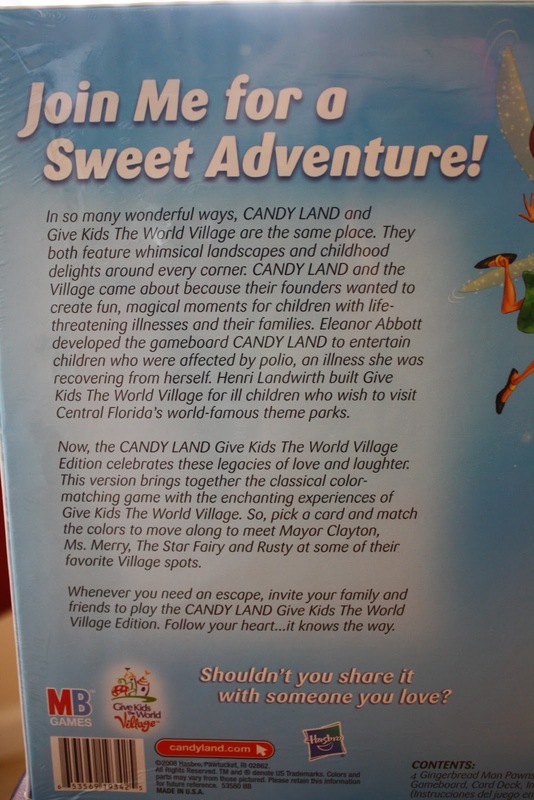 Each child also goes home with their very own Give Kids the World Candy Land game! There are 2 very special bunnies that live at GKTW. Mayor Clayton and his wife Ms. Merry. Mayor Clayton celebrates his birthday every week at GKTW with a huge birthday bash. Ice cream, games, and crafts along with a happy birthday song. Part of the perks of being the mayor and his wife is that they are there to help every kid enjoy the activities planned. You can even request your wish child to be tucked in by one of them at night time! Isn't that amazing!! 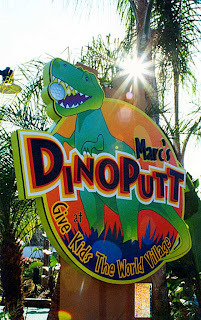 We felt right at home the moment we stepped foot at GKTW. This place has a special feel to it. The next part I always want to tell people about, but I tried it once and broke down into tears. It was the most special part of the trip. 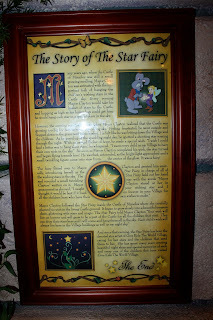 Every wish child gets to have a star placed in their honor inside the castle of miracles by the Star Fairy. Her story is below in this picture. I'm sure you can enlarge it to read, it would be hard to retype it all. There are over 100,000 stars that were placed by every child who had stayed at the village since it's opening. The castle glows with all the stars and it's very bitter sweet. You are amazed at all the sick children there are in the world and amazed that GKTW has helped so many. There are just rows and rows. I had heard an interview with someone where he said that he wishes they could close the doors to the village, because that would mean there were no more sick children. The day came when it was Hailey's turn to make a star and have it placed among the others. We went as a family and Josh's grandparents were there as well. You are given the star at orientation and you take it with you to the castle of miracles. The volunteer which happened to be our favorite Jo, was there to help us. I took Hailey's star and I wrote her name on it. Hailey also wanted hearts on it. I put 5 hearts for everyone that was there as her family. I then showed Hailey what it said and she gave it a kiss. I placed it in the magic wish box and we were told to think about a wish for your star. Well...thinking of a wish wasn't hard, I knew what everyone was wishing for on that particular star. We closed the box, placed our hands on top and whispered our wish to the star fairy. The box starts moving and then stops. you open the box and your star is gone. 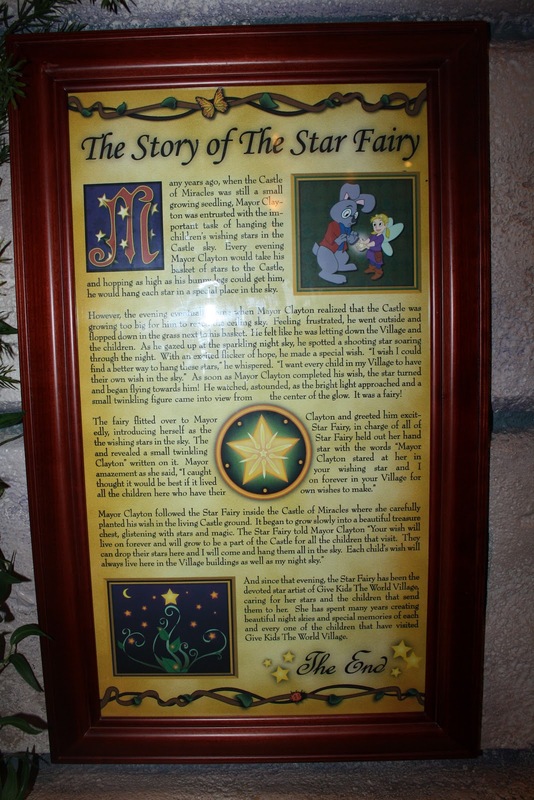 The wish fairy appears on a screen and tells you that she had heard your wish and will have your star placed with the other children of GKTW and you can come back tomorrow to find it. They give you a picture to take home of your star. The next day we got a letter in the "mail" from the Star Fairy asking us to come see where she put your star. You scan your mail and the volunteer pulls it up on the computer. Hailey's star is with the second cluster of stars. Another wonderful day at the Village is Thursday nights. Thursday is when Santa comes for the winter wonderland activities, and you thought he only worked 1 day a year...tsk tsk. Santa said that Hailey was such a brave girl that she deserved an extra present. She was able to pick from a huge display of toys. Her pick was a baby doll! You know how we love our dogs. Hailey also misses her pups when we have to leave to stay at the hospitals. They have lots of therapy dogs that go to the village so we saw as many as we could. At the pirates and princess party there were games, music, and dressing up for all the kids and family! I told you there is something planned every single day at the village. No need to go to the theme parks! 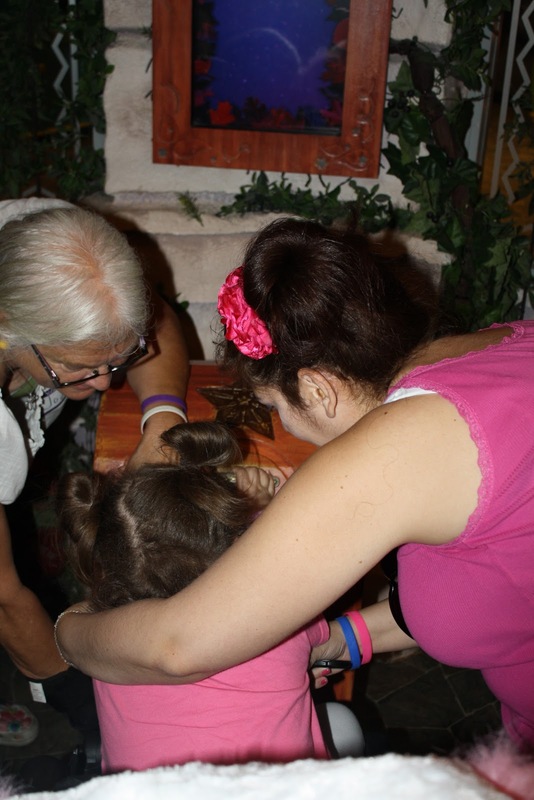 This was after our day at Universal Studios and Hailey had to introduce Fluffy to everyone! Everyday is filled with something to do. Every week they have Halloween, a birthday party and Christmas. Lots of times the holidays at the village are the last ones for the kids visiting. Every Thursday I think to myself, "today is Christmas." 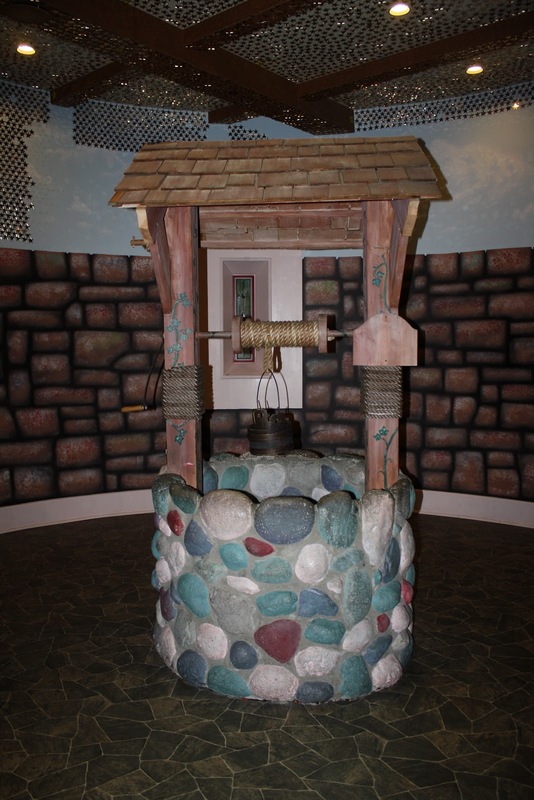 No magical place is complete without a wishing well. 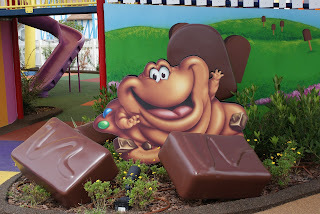 This is in the castle of miracles too. Also inside they have a beauty boutique where you can get your face painted or hair and nails done. You can also get a tattoo!! Hailey and her ever lasting smiling face! This is a picture of the hug Hailey and Jo shared as it was Jo's last night volunteering! We miss you Jo!! There are always gifts at the village for kids. We had a whole suitcase designated just for souvenirs and toys! All the information I got on the village and how certain places came to be was from the Gallery of Hope. You can not go in here without a full box of tissues!! You hear testimonials and stories from families on the experience and you are so overcome with emotion I dare you to not cry! Hailey loves tattoos. She takes after her father. Hailey wanted a pink tattoo but also told granny she was getting one as well. Not asked, told. They ended up getting matching tats. Granny is such a great sport! After visiting GKTW Village in March of 1999, Marc McConnell returned home to Loupe City, Nebraska and prayed that he would conquer cancer so that he could return to the Village as an adult and volunteer to bring joy into the lives of many other children. For 3 years Marc was well on his way to upholding his pledge. he spoke to many groups, asking the audience each time he spoke to commit to being an organ donor and speaking about his time at Give Kids the World. He was chosen by the National Cancer Society as "Survivor of the Year" in 1999. 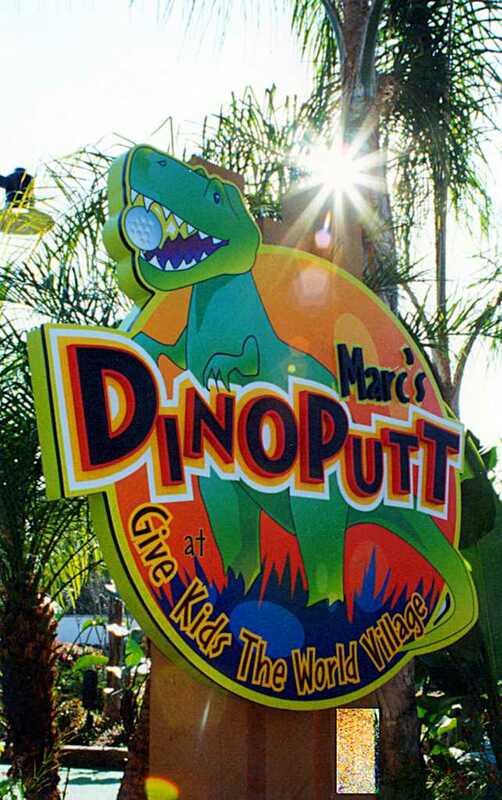 Give Kids the World and Universal Orlando decided to name the seven-hole golf course to honor his wish of never being forgotten. 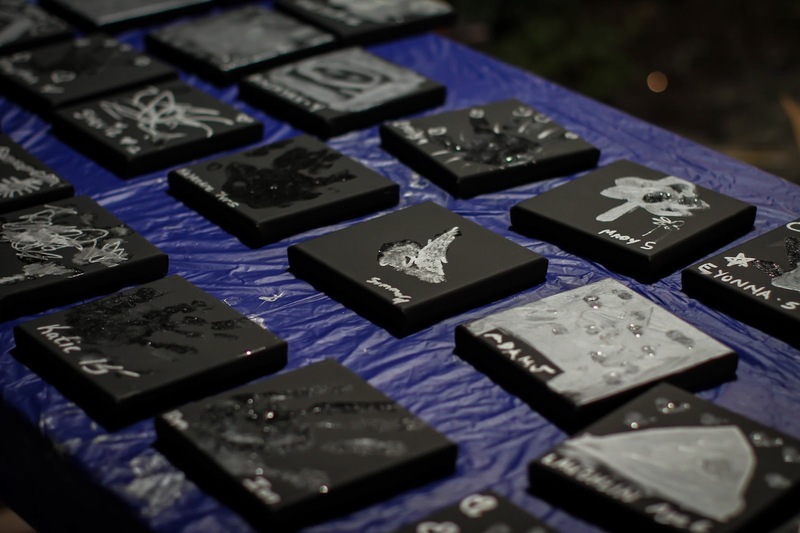 Give Kids the World Black and White Gala will be on Saturday June 1st. All the money raised will help GKTW grant wishes for more children with life threatening illnesses. They will have food, entertainment, and silent auctions. 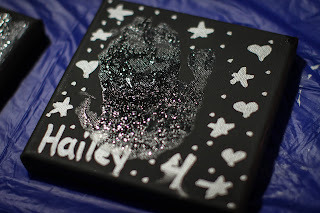 One of the items in the silent auction is a handprint plaque that Hailey and I made. There are so many incredible items to bid on and you can even bid on them via your cell phone. Register it before June 1st to be entered in a drawing for a wonderful vacation! The village is so awesome because of the wonderful volunteers! I know that I will be back one day to volunteer at the village. This post marks the end of our Make a Wish trip. It seemed so surreal to me that my child was going to be a Make a Wish child. I wouldn't have ever thought this would have been something that I would have to endure in my life. As hard and terrifying as it is to have a child with a terminal illness the support that was given to my family is more then I could ask for. I've said it before, but Thank you isn't enough for what the Make a Wish Foundation and Give Kids the World did for us. These memories are forever. Seeing the other families that were there you get a different perspective on what "hard" is. I had thought that what Hailey is going through is hard, what we have to see her go through is hard. You don't know what hard is until you see a child going through much more then your child. Hailey is cognitive and was able to enjoy this trip and we talk about it all the time with her. She loves looking at the pictures we have and I am thankful we have them. This trip was more then we could have asked for or even imagined. If there was a word that was more then Thank you I would use it, but until I think of one...THANK YOU!! From the bottom of our hearts! I promise I will be back one day to volunteer!! If you would like to donate to Give Kids the World you can do so HERE!! What a wonderful and memorable experience for your family! I loved reading all the posts about your trip.